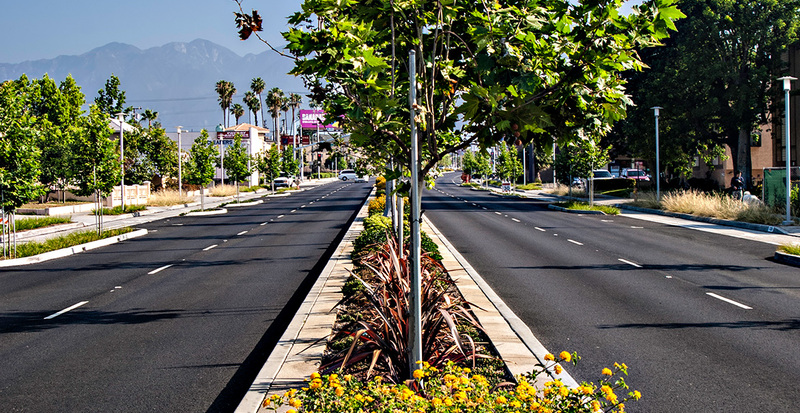 Gruen Associates’ Landscape Architectural Group led a multi-discipline team for a re-envisioned Rosemead Boulevard. 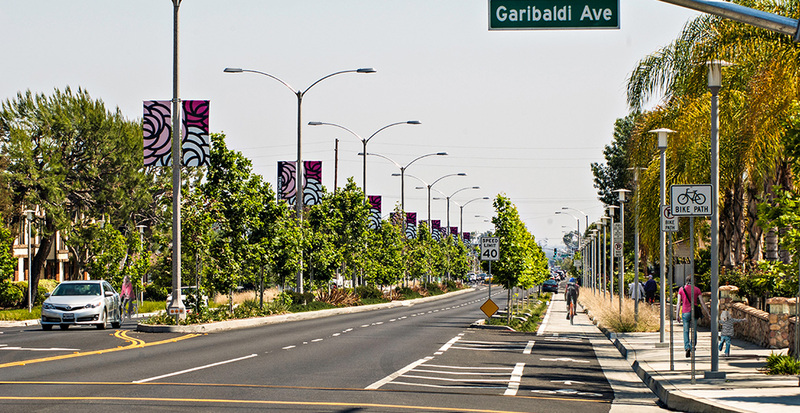 For the former Caltrans highway, the team drew inspiration from grand boulevards from around the world. 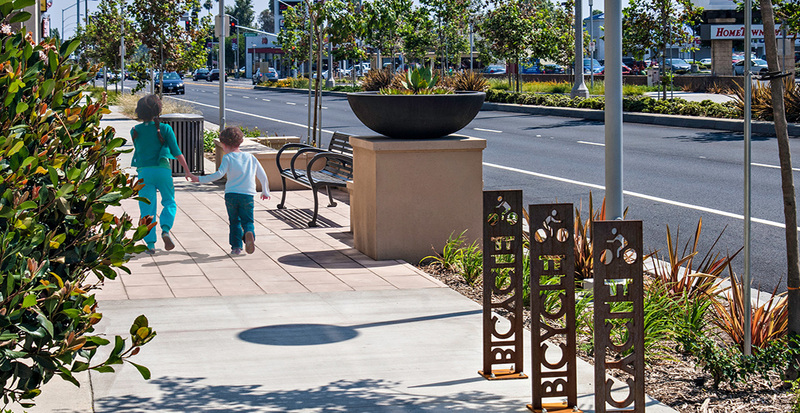 The intent was to create a multi-modal, walkable, usable street that enhances the urban experience and forms a lush, but modern, park-like promenade. 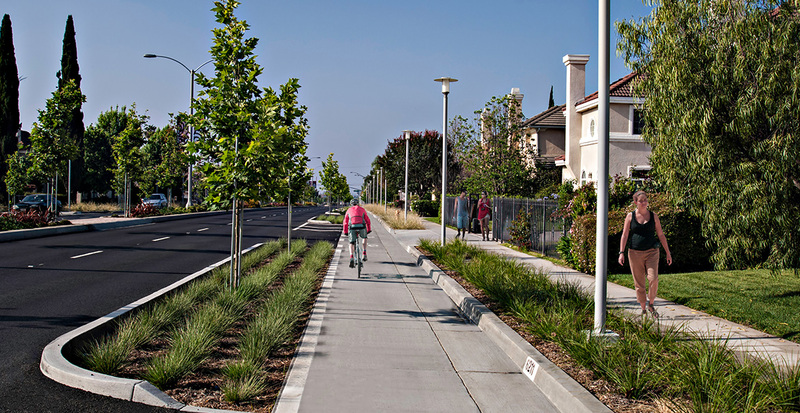 The boulevard features the unique integration of a two-mile, seven-foot-wide, protected Class I cycle track. 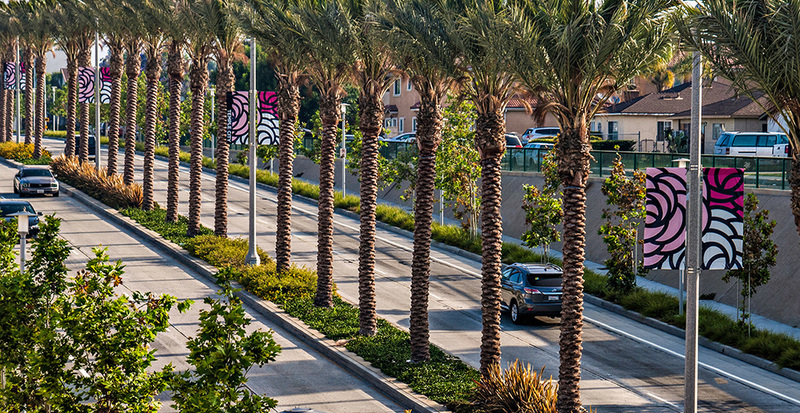 Located next to the sidewalk curb in residential areas, it is separated from vehicular traffic by planted islands and parking. 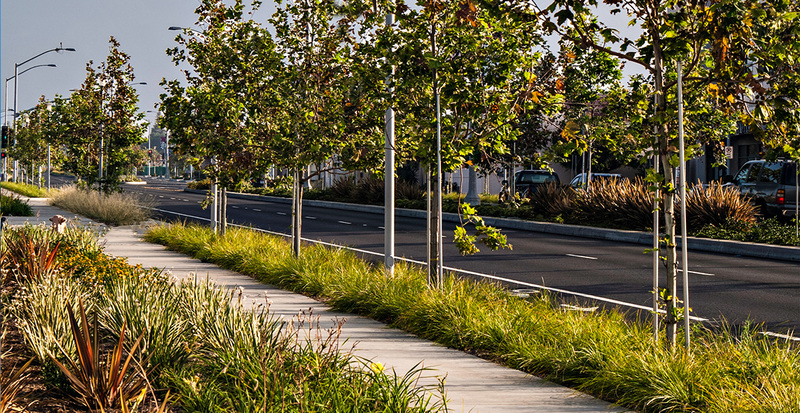 Trees shade the bicycle lane and provide a visual separation that distinguishes cycle and pedestrian ways from the vehicular lanes. 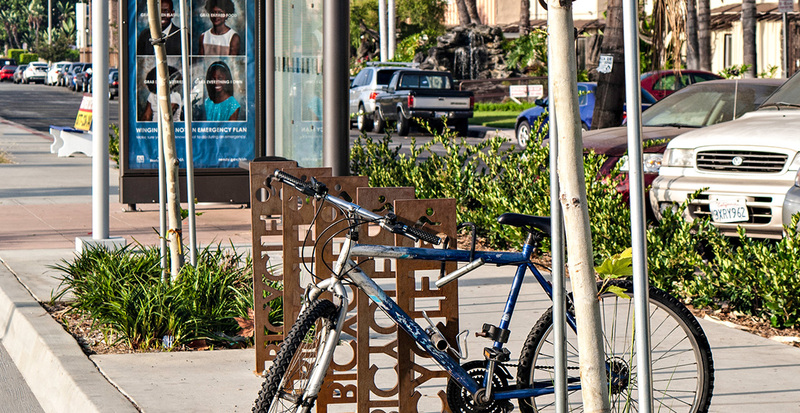 The separated cycle track addresses community concerns for cycle safety and provides an infrastructure to support bicycle connectivity to future building projects. 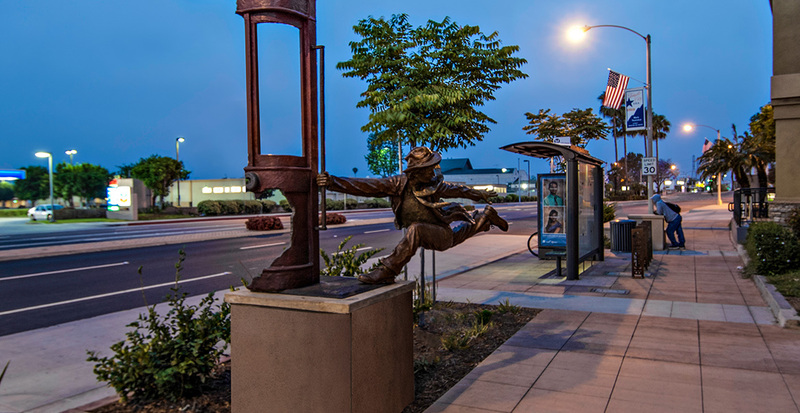 The revitalization has spurred a public art program, private development projects, and other streetscape projects in and adjacent to Temple City. 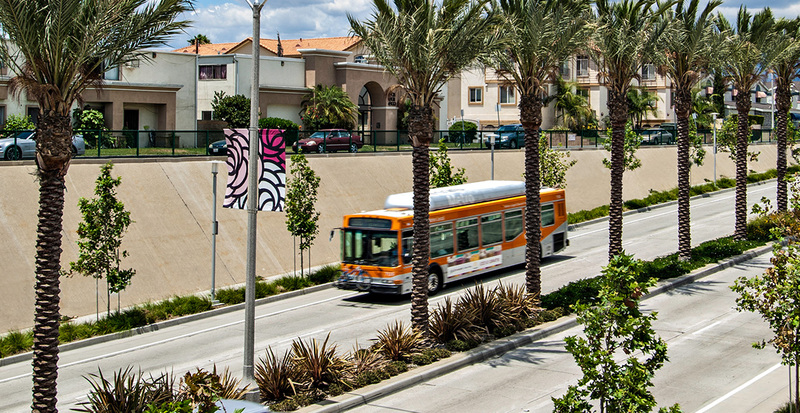 The project has achieved numerous awards including a 2013 Planning Excellence in Implementation Award from the American Planning Association, the 2014 Quality of Life Merit Award from the American Society of Landscape Architects, the 2014 Merit Award for Urban Design from the California Council of the AIA and was voted one of the “best 10 new bike lanes of 2014” from the PeopleforBikes organization.